Earp, California is an unincorporated community in San Bernardino County in the Sonoran Desert close to the California/Arizona state line at the Colorado River in Parker Valley. They bought a small cottage in nearby Vidal and lived there during the fall, winter and spring months of 1925 – 1928, while he worked his "Happy Days" mines in the Whipple Mountains a few miles north. It was the only permanent residence they owned the entire time they were married. They spent the winters of his last years working the claims but lived in Los Angeles during the summers, where Wyatt died on January 13, 1929. Though the town was never incorporated, the post office near Earp's mining claims at the eastern terminus of Highway 62 near Parker, AZ was renamed "Wyatt Earp, California" after Earp's death in 1930 with a ZIP code of 92242. For amusement only there is a tiny cemetery showing the fake grave of Wyatt Earp (his actual grave is in the Hills of Eternity Cemetery in Colma, just a few miles north of Sacramento). The post office is more than 220 miles (350 km) from the county seat in San Bernardino, California; further than any other in the county. 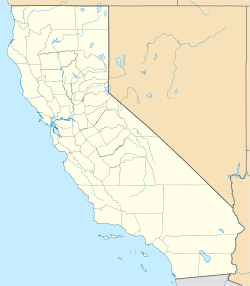 The entire region on the California side falls under area code 760. Unofficial alternate names of the area are listed as Big River, Drenna and Drennan. ^ Rasmussen, Cecilia (June 4, 2000). "LA Then and Now: Mrs. Wyatt Earp Packed Her Own Punch". Los Angeles Times. Retrieved 29 June 2011. ^ Hayes, Le (2005). Pilgrims in the desert: the early history of the east Mojave desert and Baker, California area. Mojave Historical Society. p. 276. ISBN 978-0-918614-16-2. ^ "Earp Cottage Vidal, California". Historical Marker Database. Retrieved June 30, 2011.